Workshop on Integrated In. . . This workshop aims at equipping mental-health professionals with pathbreaking complementary and alternative medicine (CAM). Like a whiff of fresh air, CAM will empower medical professionals who are equipped with only traditional forms of therapy such as CBT/ Psychotherapy/ Solutions Based Therapy etc. Also, once the attendees learn aura healing and EFT, their efficiency to heal and cure will enhance. What will be covered in this workshop? • Meditation and Inner Reflection. • Understand how the chakras are related to psychological functions and emotions. • Learn to treat the chakras and aura for self and others for emotional distress and for emotional enhancement. • Learn to use the tapping technique to clear the meridians of blocks. • Learn to use the technique for self as well as others. • The two-day session will also introduce the participants to simple meditation technique. • Certificates will be provided to all participants who complete both the days sessions. If you are willing to go an extra mile for social welfare then this is where your search ends. This workshop is the answer to your quest if you are looking forward to incorporate traditional healing systems in your client care practices. For students, it is ideal as they will have exposure to complementary healing systems along with the traditional systems. What all other benefits do you receive with this workshop? 1. 10% off on online payments (applicable till '5th January 2018'). 3. Free life positive surprise goodie kit. 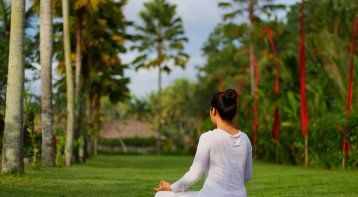 Yoga & Meditation Retreat: Living Life B. . .
A Course by Ms Sunanda Sharma Tarot Card. . . Please call our expert, Dr. Sangeeta Kapoor, on . Please note that our experts accept calls between 10 a.m and 7 p.m only.